Are smart meters SMART or a public health hazard? I have a friend who has grave concerns about smart meters and has been researching some of the possible detrimental effects for some months now. The new ‘smart’ or ‘advanced’ meters are currently being rolled out nationwide. These meters are wireless and produce pulses of microwave radiation. They are being used to replace old analogue meters. As of now, smart meters are not compulsory in New Zealand. 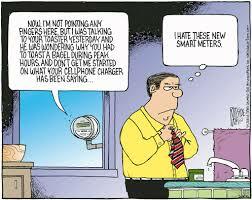 Controversy surrounding smart meters initially began overseas where the meters were first introduced. 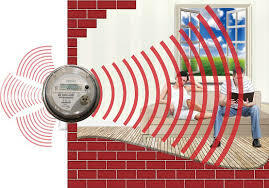 Since then, hundreds of ‘Stop Smart Meter’ sites and other opposition groups have sprung up, including in New Zealand and Australia; as growing numbers of people reported unpleasant symptoms after smart meter installations and began to question the meters’ safety. To date no tests have been done to confirm that smart meters are safe. In fact, according to Barrie Trower, physicist and microwave expert, there are around 8,300 research papers on effects of ‘non-ionising’ radiation, such as is produced by smart meters, that point to the contrary including research done by the U.S. Navy in 1972. Some scientists conclude that research into ‘non-thermal’ effects (applicable to smart meters) has been largely overlooked and concentration has been on ‘thermal’ (heating) effects that don’t apply to smart meters. In fact, microwave radiation has been acknowledged to be a “possible carcinogen” by the World Health Organisation’s International Agency for Research on Cancer. If you’re concerned and/or suffer from electro-sensitivity, and you haven’t yet had a ‘smart’ or ‘advanced’ meter installed, you can contact your power company and tell them you don’t want one. More effective would be to put your objection in writing. The website ‘Stop Smart Meters NZ’ – http://www.stopsmartmeters.org.nz/resources/, has more information on options, and forms you can download e.g. Notice of Non-Consent form and template notices that you can put on your meterbox.